Join me to interpret your genetics! Whether you’ve taken a genetic test or plan to, our experts will give you the knowledge to leverage your personal data to create better health, guide treatment and alter your life! Your genes can unlock a new era of personalized medicine — genetic/genomic practices to alter your lifestyle, guide treatment and create better health! You, the consumer and patient, are leading the charge to translate your personal health data into informed decision-making. This evolution is creating a new standard of predictive, preventive, personalized and participatory medicine — and it’s changing lives all over the globe. —>>Interpret your genetics when you attend this free, online event! Your host, James Maskell, has gathered world-renowned leaders from genetics, genomics and functional medicine. These pioneering experts are on the front lines interpreting data to create improved health in patients around the globe. It’s time to join the movement to know who you are, and use that information to improve your health! 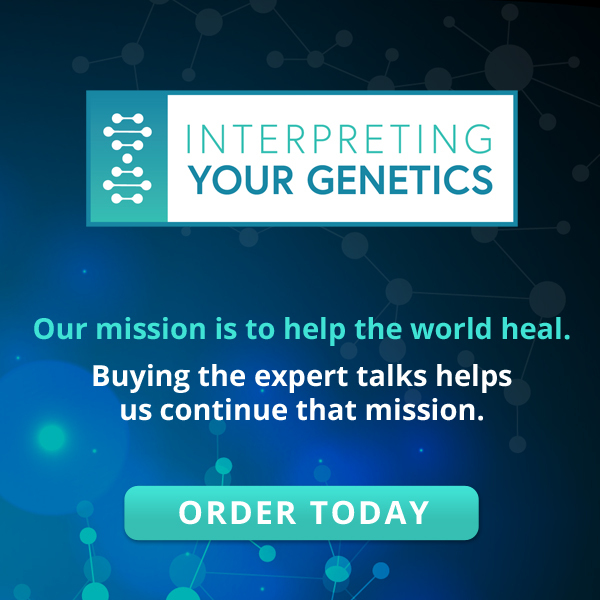 Join me to gain the best secrets and practical strategies for leveraging genetics at The Interpreting Your Genetics Summit, online and free from April 1-7, 2019! I’ll see you online at this educational summit when you register today! P.S. Whether you’ve taken a genetic test or plan to, these experts will give you the knowledge to leverage your personal data to create better health, guide treatment and alter your life — click here to register now!